Sher and I had an absolute ball at the Luther Logging Days festival in Luther, Michigan. The festival ran the week of July 4th. We heard about this festival from a fellow vendor who was kind enough to give us the information for registration so we could set up and sell our wares. Luther is a very small town (population 310) and is in the heart of logging and outdoor recreation country. 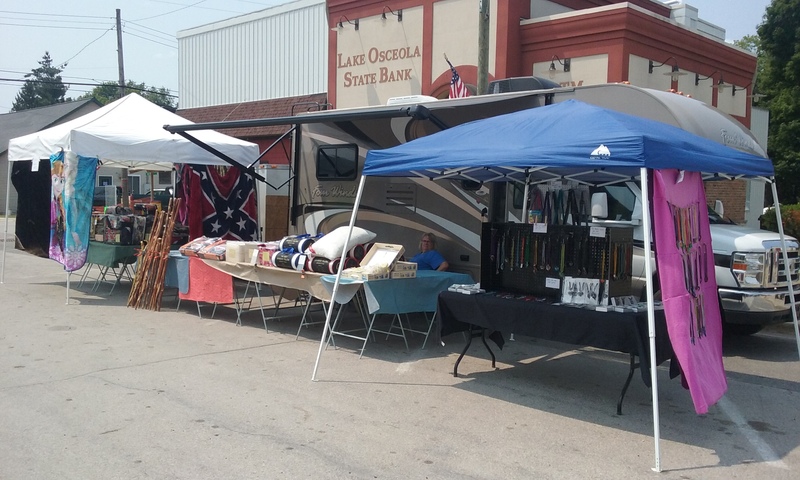 The festival took place on the one main street in town, and we set up our selling space right next to the curb. This festival was really fun. Sometimes when we are set up and selling we don’t get to share in the festivities. Not so at Luther: most of the activities took place near or in front of our booth space! 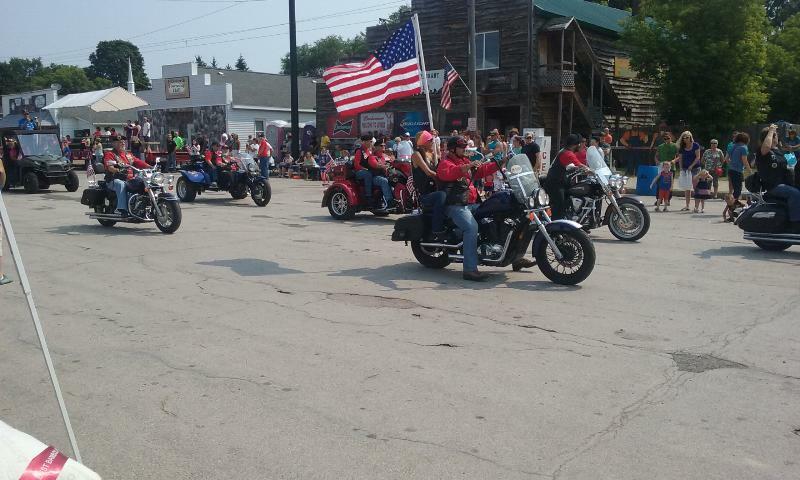 There were bands, games for young and old alike and a wonderful parade on July 4th. 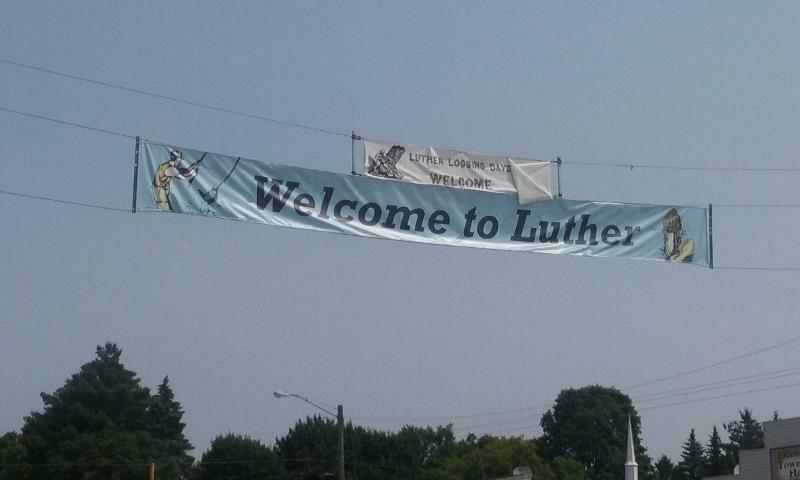 The people of Luther were very friendly and enjoy life to the fullest. Young and old alike really know how to have a good time.